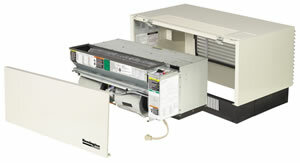 In early March, 2014, Daikin Applied, formerly McQuay, announced it was discontinuing it's legacy PTAC product line. While this is unfortunate, we are pleased to announce that parts are still available for the foreseeable future. In addition, Applied Comfort Products has developed replacements for most of the McQuay PTAC units. The Applied Comfort units feature high quality workmanship, long service life, and even higher performance thatn the original McQuay PTACs. The Remington 42" PTAC was a budget unit made for the hotel/motel industry. It was a standard 42" x 16" unit, available in 7000, 9000. 12000, and 15000 BTU cooling. These units were discontinued around 2005. The McQuay Type K iwas a three piece unit consisting of a cooling chassis, heat section and controls. Accessories include room cabinets, wall sleeves, and exterior louvers. The current replacement for the Type K it the Applied Comfort KEC. The McQuay EA/RS/MEA/PMES was discontinued in 2008. 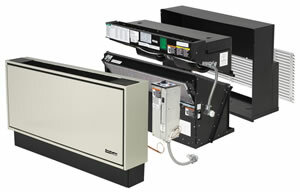 The current replacement unit is the AppliedComfort EA. The Applied Comfort 16 is a replacement for the AAF Series 16 PTAC, as well and the American Standard/Singer Type 45. It is available for electric heat or hot water heat applications. Get full details on the Applied Comfort 16 PTAC. Air Distributors is a distributor for McQuay replacement PTACs. We have OEM replacements for all McQuay PTACs, with the exception of the Type J unit, which has been discontinued by McQuay. We have a third party replacement for the McQuay Type J PTACs. 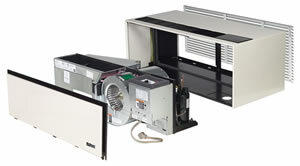 Check out our site for additional information on McQuay Air Conditioning products from McQuay International. For information on parts, visit our McQuay Parts page. Air Distributors Company, Inc. is a McQuay Factory Authorized Parts Distributor for KY, Southern IN, Southern IL.